President Vladimir Putin has commented publicly for the first time on U.S. Special Counsel Robert Mueller’s investigation into Russia’s alleged collusion with President Donald Trump’s campaign. 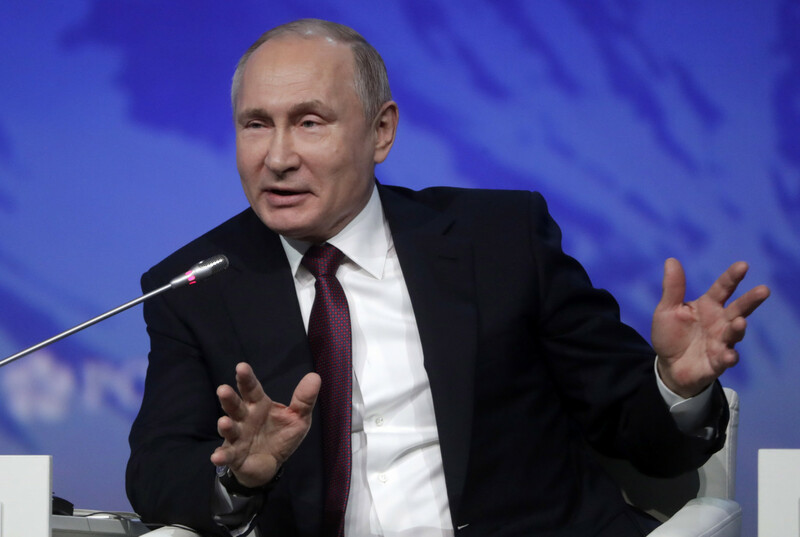 Russia has repeatedly denied claims that it interfered in the 2016 U.S. presidential election, although U.S. intelligence agencies concluded that it did. Last month, Mueller’s nearly two-year investigation concluded that there was no evidence of collusion between Russia and the Trump campaign, according to a summary of its findings. Putin reiterated that Russia did not interfere in the 2016 election and did not collude with the Trump campaign, Interfax reported. He then called Mueller’s investigation “complete nonsense,” saying it was a reflection of Democrats’ inability to accept the outcome of the election. “President Trump knows better than us what a ‘witch hunt’ is. We know that this is a black page in American history,” Putin said while answering questions at a plenary session. “I don’t want [this page] to ever be repeated,” he added. The Russian president declined to say whether he wants to see Trump re-elected in 2020, citing a long list of disagreements with the U.S. leader, Reuters reported. However, he said he hopes to work with the Trump administration on restoring ties now that the Mueller investigation has ended.